When standup comedy went mainstream in the 1980s, it was largely confined to the comedy club, a ubiquitous term for the low-ceilinged, low-lit rooms where comedians rattled on with observational wit in front of brick walls on television shows like An Evening at the Improv and Caroline’s Comedy Hour. A lot has changed in standup in the last three decades, beginning with the advent and evolution of the alternative comedy scene that moved standup out of the comedy club and into comic-book shops, taprooms, black-box theaters, jazz clubs, dive bars and rock venues. This month, the North Bay gets a major dose of a new crop of top alternative comedians at the inaugural Pet-A-Llama Comedy Festival, which boasts more than a dozen hilarious shows taking place at the Mystic Theatre, the Big Easy and elsewhere in downtown Petaluma Aug. 16–18. Headlining the opening night show is Sonoma-raised comedian, writer and actor Brian Posehn. 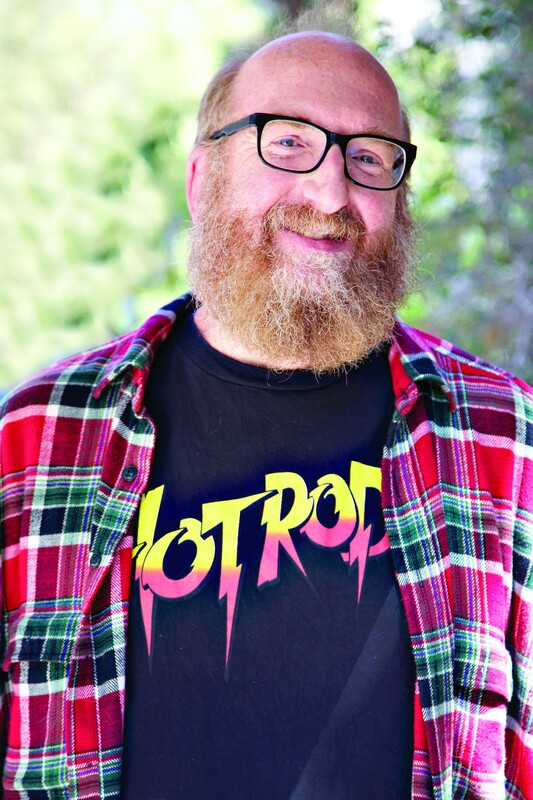 At six-foot-seven-inches, and usually sporting a bushy beard, Posehn is a gentle giant in comedy, a pioneering voice of the alternative scene since he appeared on HBO’s groundbreaking sketch comedy series Mr. Show with Bob and David in 1995. Brian Posehn was something of a nerd in high school but he used his outsider status to make people laugh. 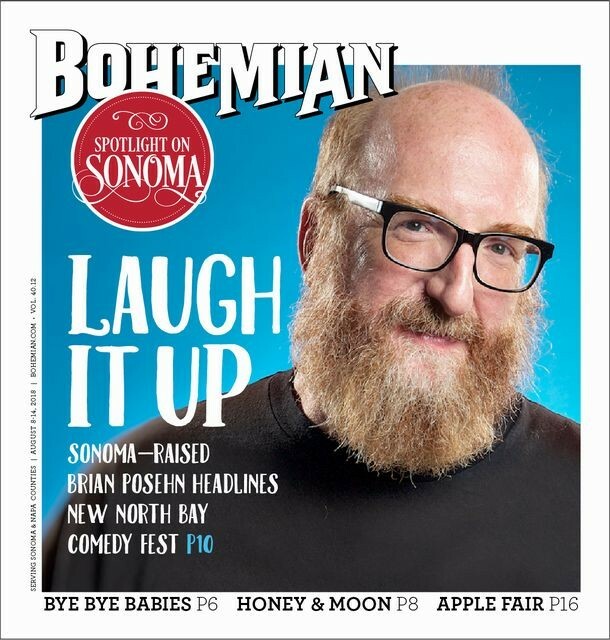 Posehn grew up in Glen Ellen and Sonoma after his family moved there from San Jose in 1975, when he was 9. Though it was small-town living, Posehn remembers being enamored with the region almost immediately. “I already loved that it had been in commercials in the ’70s and it was like this touristy cool little place,” Posehn says by phone from his home in Los Angeles. “One of my favorite things about Sonoma was that they knew what was great about it and kept certain things away—like we didn’t get a McDonalds until I was in high school. Growing up, comedy as a career never came into Posehn’s mind, though he recalls that a teacher in high school once told him that she used to write jokes for Phyllis Diller, and that idea clicked with him. In 1995, comedians Bob Odenkirk (Better Call Saul) and David Cross (Arrested Development) discovered Posehn and hired him as a writer and actor for Mr. Show, which launched his career. “That still is my favorite job I’ve ever had, working for those two guys,” he says. “I owe them a lot. I learned how to write through them, but I also wouldn’t be on Big Bang Theory and some of these other shows that I wound up doing if it wasn’t for those guys.” In the 1990s, Mr. Show was considered “the cool kid thing,” according to Posehn, among other television writers and producers, and soon he got gigs on shows like Seinfeld, Friends, Just Shoot Me and many others. “That’s all from Bob and David finding my surliness to be amusing and putting me on their TV show,” he says. In his comedy, Posehn explains that the most important thing for him is to be himself. “Most of what alternative comedy is to me is people being more real onstage,” he says. A lifelong nerd who grew up reading comic books and riding the bus from Glen Ellen to Santa Rosa’s Last Record Store, Posehn’s comedy often talks about his love of all things pop culture, which has also transitioned into penning issues of Deadpool for Marvel Comics, composing mock heavy metal tracks with members of Anthrax—and writing his soon-to-be released first book, Forever Nerdy: Living My Dorky Dreams and Staying Metal. Pet-A-Llama Comedy Festival founder and director Dominic Del Bene was also raised in the North Bay, and after years in the music industry, has worked in the Bay Area comedy scene for over a decade. Since starting with San Francisco record label Rooftop Comedy Productions, the Petaluma-based Del Bene has been busy producing content for comedians and producing events for groups like SF Sketchfest. He also runs his own label, Blonde Medicine, and hosts a radio show on KPCA Petaluma. For Del Bene, Pet-A-Llama is the intersection of all of his interests. Leading up to Pet-A-Llama, Del Bene has been testing the local comedy waters, bringing headlining performers like Judah Friedlander to town for shows at venues like the Griffo Distillery. He’s been excited by the response from North Bay audiences at these shows, and he notes there is a burgeoning open mic comedy scene happening at bars like Jamison’s Roaring Donkey. “If people see some of the greats in their own backyard, it might help impact the pace at which that stuff is developing,” Del Bene says. The Mystic hosts Posehn on Aug. 16 and Del Bene has booked an impressive lineup of performers for the rest of the festival. On Aug. 17, Los Angeles comedian Todd Glass & the Todd Glass Band, recently seen on the Netflix special Todd Glass: Act Happy, will bring rapid-fire repartee to the Big Easy with guests like Blake Wexler and Emma Arnold, while standup’s most famous twins, the Sklar Brothers, take over the Mystic to present a live version of their popular podcast Dumb People Town, in which they skewer local news stories culled from small-town sources across the country. Other notable names scheduled to appear at Pet-A-Llama include Canadian actor-comedian Scott Thompson, who portrays his socialite character Buddy Cole from The Kids in the Hall television series. Thompson was a principal member of the hit TV series. Beyond the Mystic, author, television writer and comedian Guy Branum makes his way to Copperfield’s Books in Petaluma for a reading from his new collection of essays, My Life as a Goddess. Comedians Ryan Sickler and Jay Larson present their storytelling podcast, The CrabFeast. Comedian and musician Drennon Davis hosts The Imaginary Radio Program, and the fast-rising comedy group the Dress Up Gang, featuring Healdsburg native Cory Loykasek, offer a screening from their yet-to-be-released TV series with the TBS network. “There’s going to be a lot of diverse programming, and I’m excited about all of it,” says Del Bene.